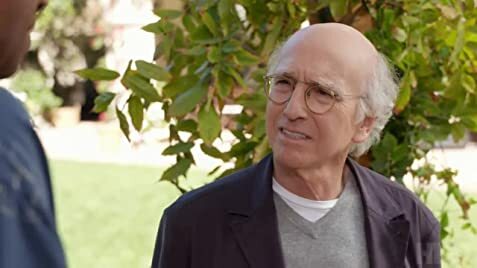 How many episodes of Curb Your Enthusiasm have you seen? After the disaster of Le Fear, director Carlos Revalos decides to make a sequel with a bigger budget. What could go wrong? Simply everything. Colby: [at dinner with the survivors] So, here we are in a region of Australia where, out of the world's ten most deadly snakes, nine of 'em inhabit this region. It was harrowing. You come across a taipan on the trail, you get bit, you're dead in thirty minutes flat. Solly: Oy, I'll tell you, that's a very interesting story, let me tell you. I was in a concentration camp! You never even suffered one minute in your life compared to what I went through! He's a victim of circumstance. Larry David, king of awkward moments and co-creator of the hit television series Seinfeld, has come back to television at full force. 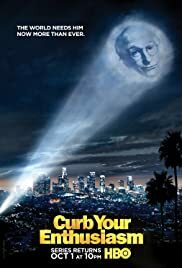 His hit series, Curb Your Enthusiasm, is a further extension of his life. Seinfeld has ended, his co-creator name has earned him about $200 million and growing, and his life is just getting excited. On these thirty minute trips, we follow Larry through moments with his wife Cheryl and manager Jeff. Circumstance continues to happen and Larry somehow always happens to be in the middle. and he does with his hilarious show. If you are a fan of awkward silences and coincidences with surprising results you will love this show. I am not sure if die-hard Seinfeld fans will love this program, but I sure did and I have seen every episode of Seinfeld at least twenty times. I will have to warn you, this is yet another show about nothing that just works. I just finished watching my favorite episode with the 'elevator courtesy' and his infamous fight with Richard Lewis (who plays his best friend). Overall, this is a very funny show that I hope remains true to itself and consistent throughout the seasons. I love Larry David's humor, and while it may not be for everyone, I do find that it is very realistic. It will open your eyes to the strange, odd world in which we live. 151 of 174 people found this review helpful. Was this review helpful to you?